Editor’s note: The following article originally appeared on The Conversation on July 2, 2015. The fourth season of Orange is the New Black was released on Friday, June 17, 2016. The inmates of Litchfield Penitentiary, the fictional setting for the Netflix TV series Orange is the New Black, are not shy women. They’ve landed in prison for murder, fraud, stalking, drug-smuggling, theft, and political activism. They do illegal activities behind the officers’ backs. They make their opinions known loud and clear to one another. And they’re not opposed to throwing a few punches, if duty calls. But all will cease if you threaten to send them to the SHU. Why? The SHU (pronounced “shoe”), or “security housing unit,” is a separate prison facility designed to isolate inmates from any human contact. While sometimes used to protect the prisoner from harm by others or to themselves (to implement suicide watch, for example), it’s often used as punishment for violating prison regulations. At last count, it’s been estimated that more than 80,000 prisoners in the U.S. are housed in the SHU — more than any other democratic country. And while inmates in minimum security may be held in the SHU for a few days at most, those in maximum security prisons can be in solitary for as long as five years. Humans are social animals. We feel safer and happier in the company of others, seek friends and family for company and solace, and desire acceptance, friendship, and love. Our neocortex, the outermost layer of our brain, is comparatively larger than that of other primates and implicated in conscious thought, language, emotional regulation, empathy, and higher social cognition. So it’s no wonder that psychologists and human rights advocates consider solitary confinement one of the worst possible forms of psychological torture. In simple terms, the SHU “destroys people as human beings,” according to psychologist Terry Kupers. Reviews of the literature published in the past decade associate prisoner isolation with anxiety, panic attacks, depression, anger and hostility, poor memory and disorientation, and self-harm. With so much time spent alone, individuals become prone to hallucinations — particularly seeing people or hearing voices that aren’t there — paranoid thoughts and distorted sensations, such as perceiving the walls closing in on them. There is also evidence suggesting that solitary confinement results in increased recidivism, perhaps due to lingering mental illness; more likely, though, the punishment does nothing to correct bad behavior. It’s estimated that 24.2% of prisoners in solitary are later re-convicted of a violent crime compared to 20.5% of general population prisoners. Long-term effects of solitary confinement likely depend on the individual and the type and duration of their experience. No follow-up studies, however, have been conducted on formerly isolated prisoners following their prison release. 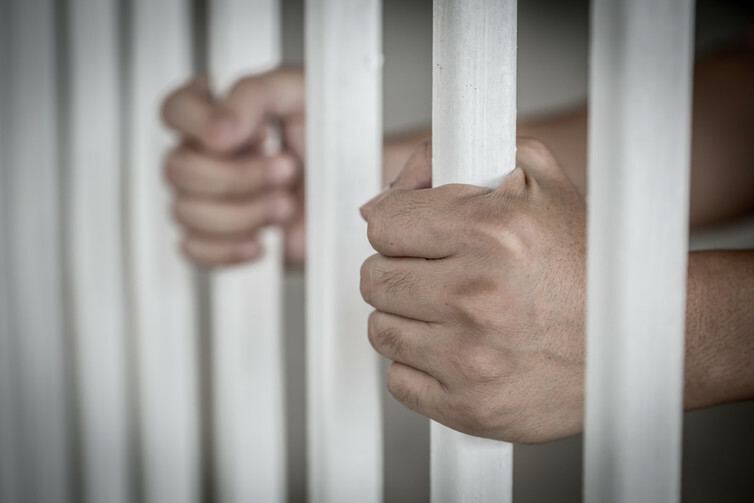 Many acute effects of solitary confinement are thought to subside over time, though psychiatrists have speculated that difficulties in social interaction, maintaining interpersonal relationships and reintegrating oneself back to the “real world” persist as a result of long periods of solitary confinement. Other studies have reported sleep disturbances, depression, phobias, emotional dependence, and impaired memory and concentration years after release from similar types of isolated environments. We haven’t yet come to know any characters who have spent long periods of time in solitary, but if what we know about solitary comes to play out, we may see some unpleasant after-effects when season four premieres next year. Jordan Gaines Lewis is a neuroscience post-doctoral fellow at Penn State College of Medicine. Members of the news media interested in talking to Gaines Lewis should contact Tori Indivero at 814-865-6071 or vmi1@psu.edu. Previous PostHow DNA testing ID’ed the last of the RomanovsNext PostWhat is different in the bilingual brain?